So, you have your professional resume and cover letter and it is successful in getting you an interview for the role you REALLY want. What next………THE INTERVIEW!!!! How do you get across that you are the right person for the job? Job interviews can be daunting. You are sitting in an unfamiliar environment, talking to unfamiliar people trying to make a good impression. It is nerve-wracking. The good news is that help is at hand. 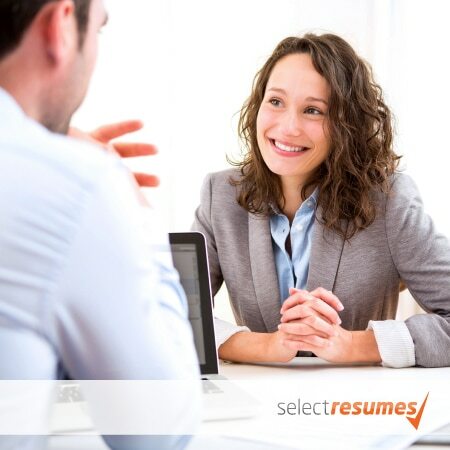 Select Resumes has a number of professional Interview Coaches who can transform your interview skills usually in just one session. We provide comprehensive one on one interview skills coaching that will teach you what you need to know to get the job you want. The key is to be able the sell yourself to the panel of interviewers. This is a difficult task for most people, but once you have undertaken our interview skills training session, you will have the confidence and skills to take your interview performance to the next level. You will be able to confidently answer questions and convey information in a way that sells your skills and experience and gets you that job. One on one interview skills coaching teaches you what you need to know to get the job you want. Within our interview skills coaching, we will cover a range of topics including discussions around what managers and recruiters are looking for, confidence and nerve control, first impressions, rapport building, negotiation skills and more. In addition, we will teach you how to structure your answers to behavioural interview questions and how to be better prepared for being interviewed. Nerves are a natural reaction to the excitement of a potential new job so it is quite normal to be a bit anxious however we will teach you how to control your nerves to enable you to think clearly and make a great impression. Our experienced coaches will tailor your session depending on the type of role you are being interviewed for, however, the skills you learn can be applied to many different scenarios, including presentations, public speaking, negotiations and business dealings.